Lawyers of Azimzhan Askarov, a human rights defender sentenced to life, insist on review of his case due to new evidence. They have found over a hundred of new witnesses of the June 2010 tragic events in the south of Kyrgyzstan willing to testify at the court. 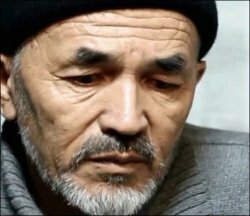 As one recalls, Azimjon Askarov, a human rights defender who worked on documenting police treatment of detainees, was found guilty of involvement in the gruesome killing of a policeman and injuring several officers during mass disturbances in the southern city of Bazar-Kurgan in June 2010. After a prosecution marred with fair trial violations and allegations of torture, he was sentenced to life in prison. On December 20, 2011, the Kyrgyzstan Supreme Court upheld the verdict. Askarov’s lawyers insist on a new and thorough review of the case due to many blind-spots left in the original investigation. Evgenia Krapivina of the “Citizens against corruption” human rights center speaks about likelihood of a new trial: “We appealed to the president of the country already on the 23rd of December, 2011 requesting a new investigation and review of Askarov’s case due to newly emerged evidence, but with no reply”. In February and March 2012, the lawyers of the center visited the Bazar-Korgon district in order to collect evidence. They made video interviews with local population and presented the collected information to Aida Salyanova, the prosecutor-general on the 18th of May. The procedure is as follows: the office of the prosecutor-general should send an inquiry to the regional office of the prosecution along with an instruction to check on the newly found evidence and report back to the prosecutor-general for a final verification. Then the case is sent back to the Supreme Court, as it is up to the court to decide whether it deserves a review based on the new evidence. “We know that the deadline for report from the regional office of prosecution in Jalal-Abad was on June 15, and we therefore expect some response from the prosecutor-general”, continues Evgenia Krapivina. “Most importantly, the witnesses are willing to testify at the court, perhaps because of the continuing surge of illegal arrests in the south of Kyrgyzstan, which they need to resist. The only thing they require is the safety during trial”, she concludes. Fergana.ru has also contacted Khadicha, Azimzhan’s wife who provided us with the copy of her appeal, sent on the 26th of May to the president, prime-minister, speaker of the parliament, prosecutor general, ombudsman, UNHCR, US embassy, Voice of Freedom and NGOs. The text of the appeal is available here (in Russian).